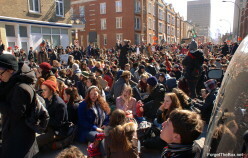 The protest called by the ASSE started at Victoria Square with people of all background gathering. 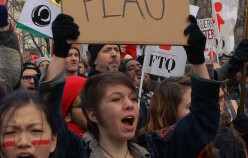 I mean from firefighters to high school kids. 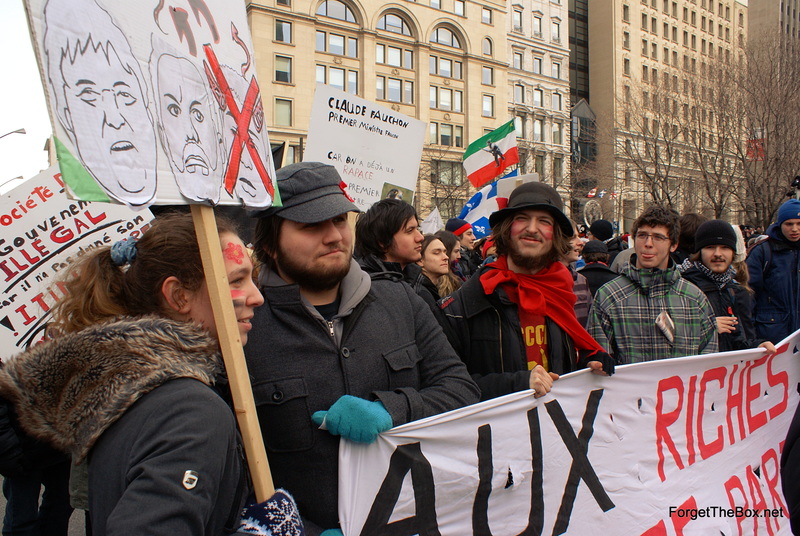 They came from all over as well, not just Montreal, by the bus load. 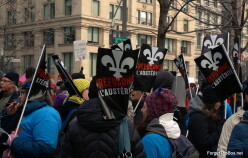 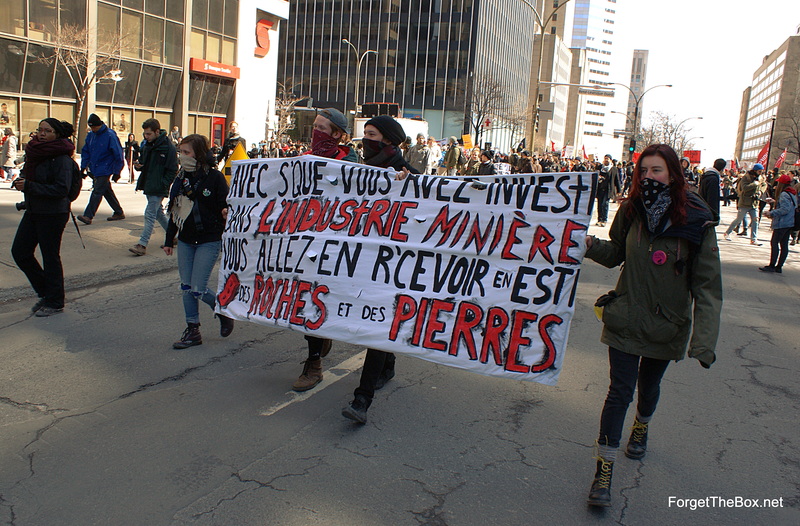 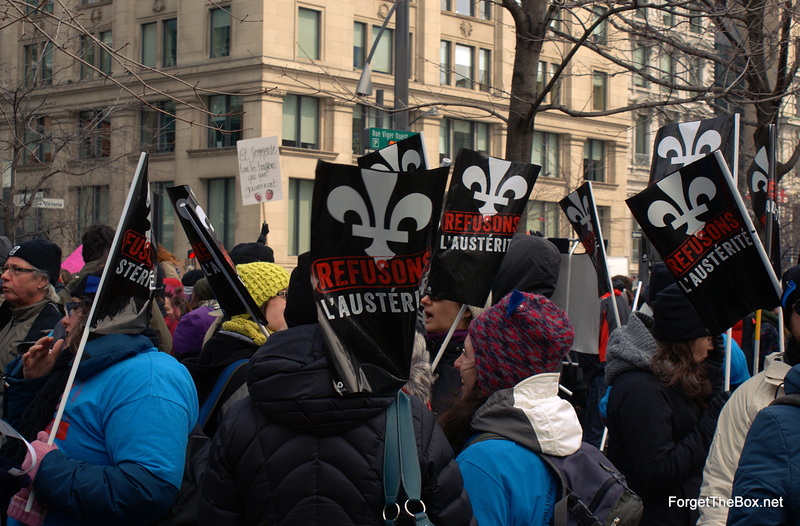 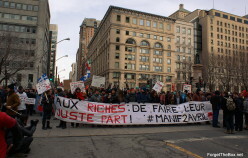 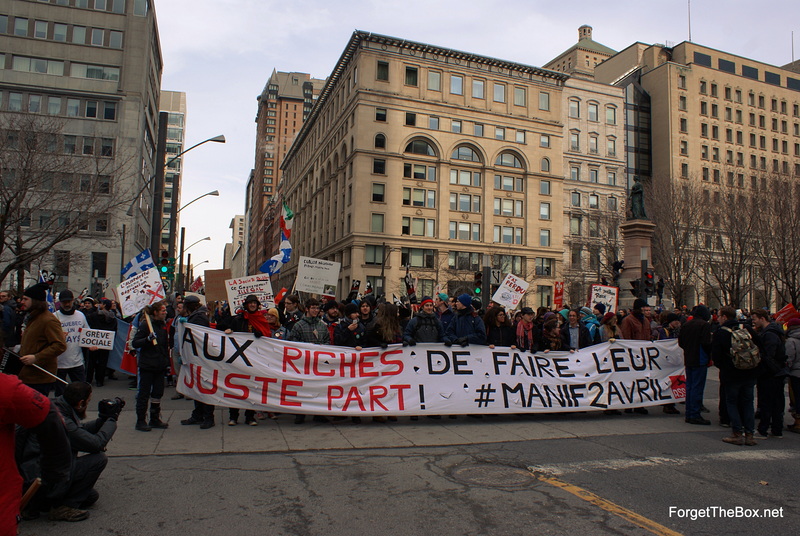 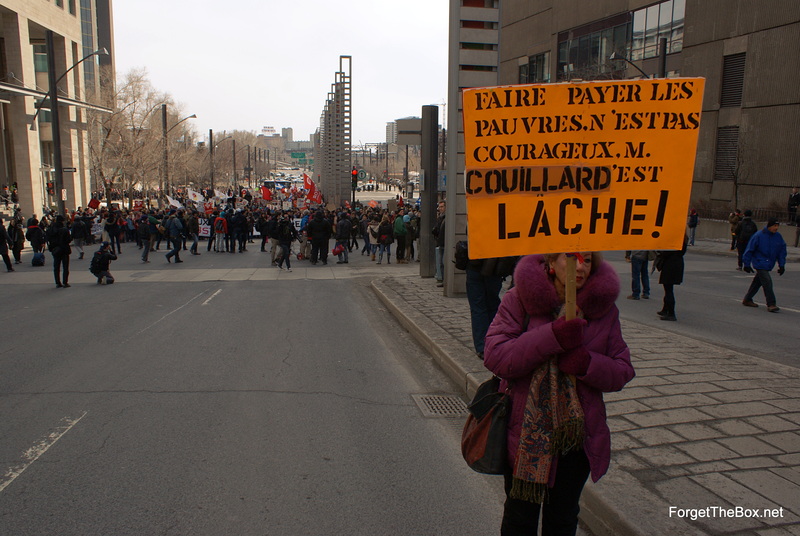 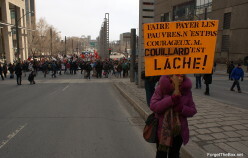 The protest left on St-Jacques westbound, turned right on University/Rober-Bourassa up to Sherbrooke, eastbound to Berri and finished down at Émilie-Gamelin Park. 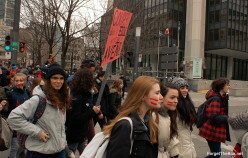 No itinerary was given to Police but the march was not declared illegal to my knowledge. 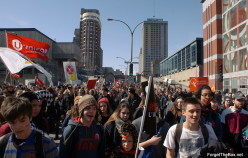 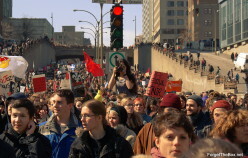 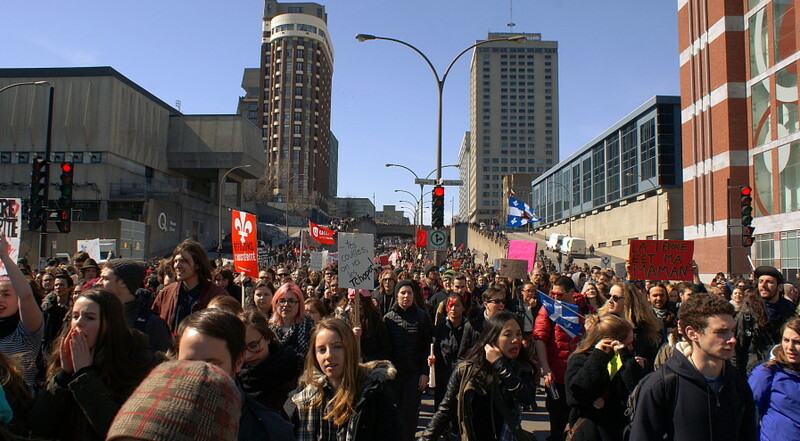 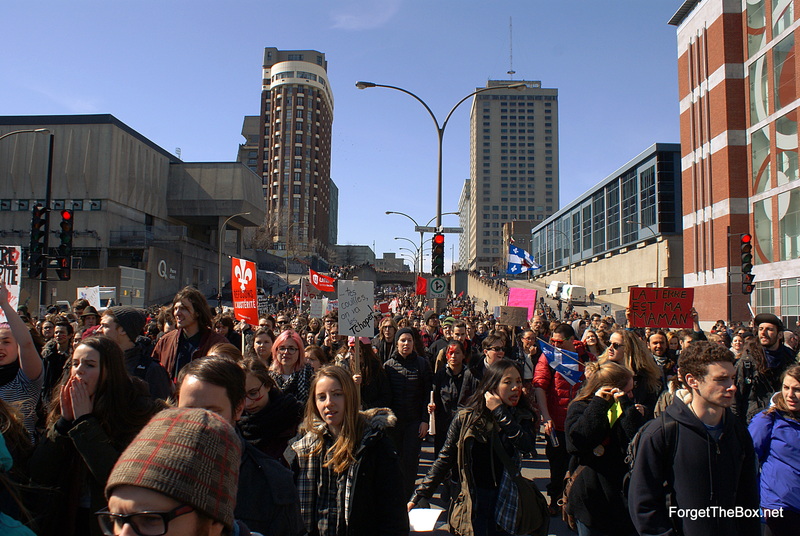 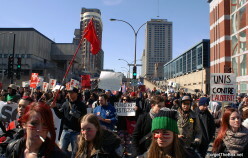 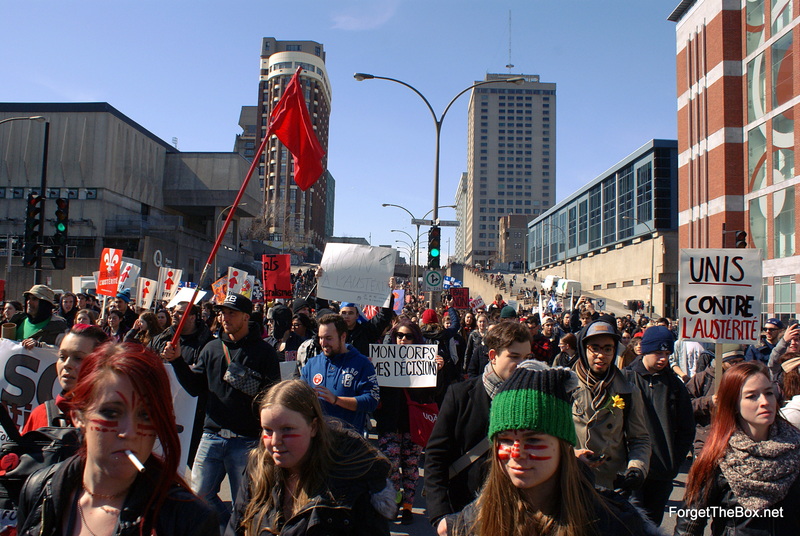 At 3pm when arriving at Émilie-Gamelin Park, the crowd split in two with one group going east on Ontario and one staying at the Park. 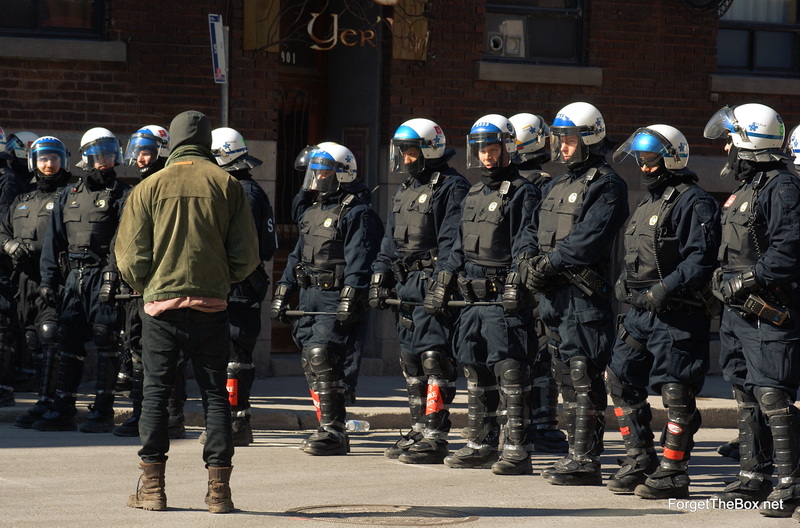 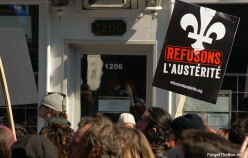 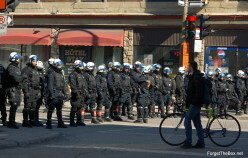 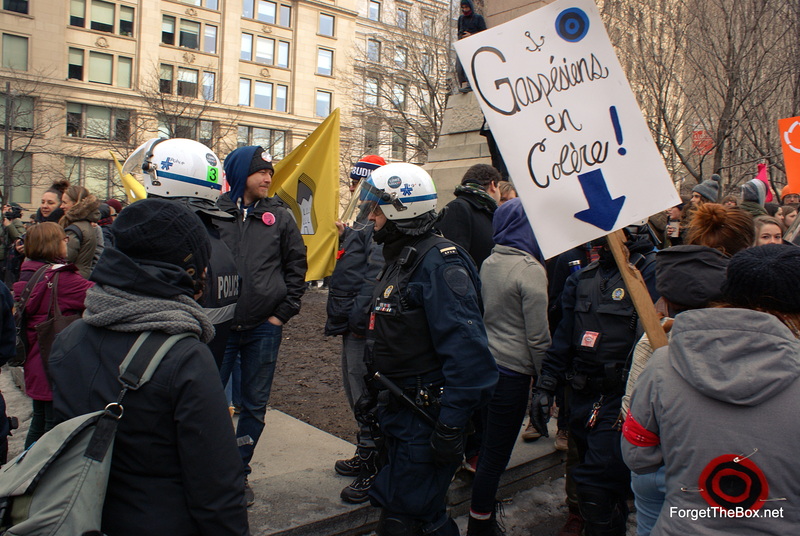 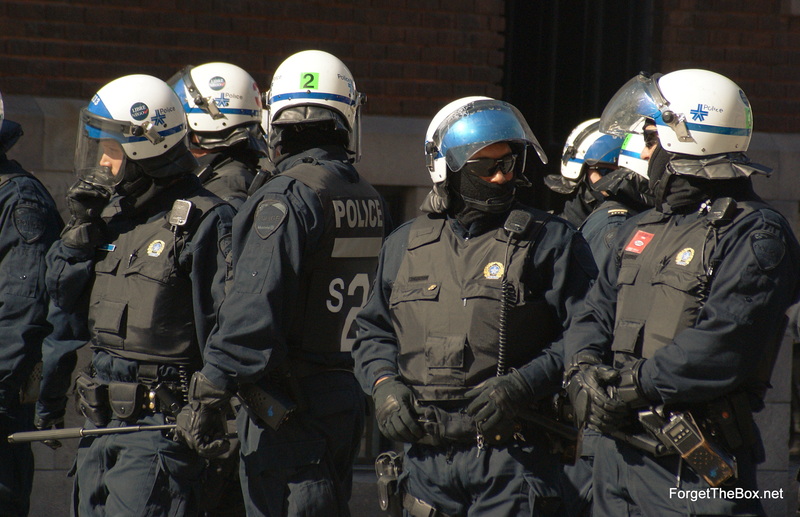 The Ontario march was intercepted by the SPVM riot squad at Montcalm and a stand off took place. 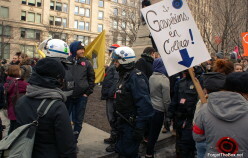 Protesters sat down as Police were asking them to proceed South in order to avoid, I’m guessing here, to end too close to the Jacques-Cartier bridge during rush hour. 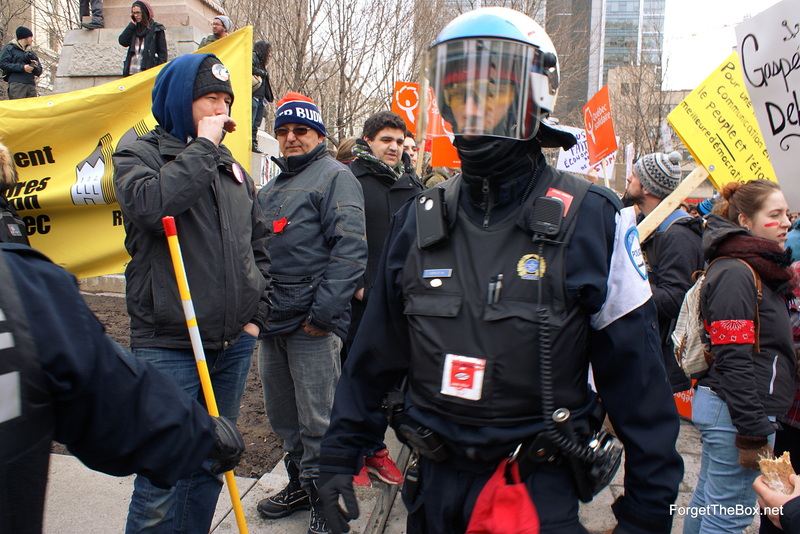 30 minutes later the stand off was broken when protesters were pepper sprayed and the crowd moved back towards the Park where another stand off took place with the riot squad asking people move off of the road and into the park, they actually said “please” and “thank you”. 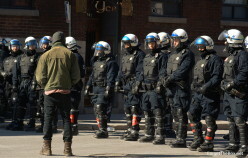 That one saw a reversal of roles where in the end, Police retreated to their initial position to cheers from the crowd. 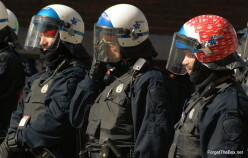 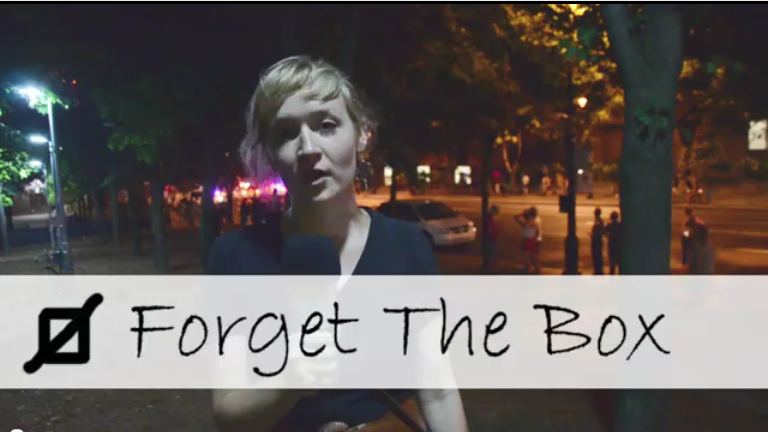 However, water bottles thrown at retreating police officers was met with a tear gas gun firing one shot at the crowd. 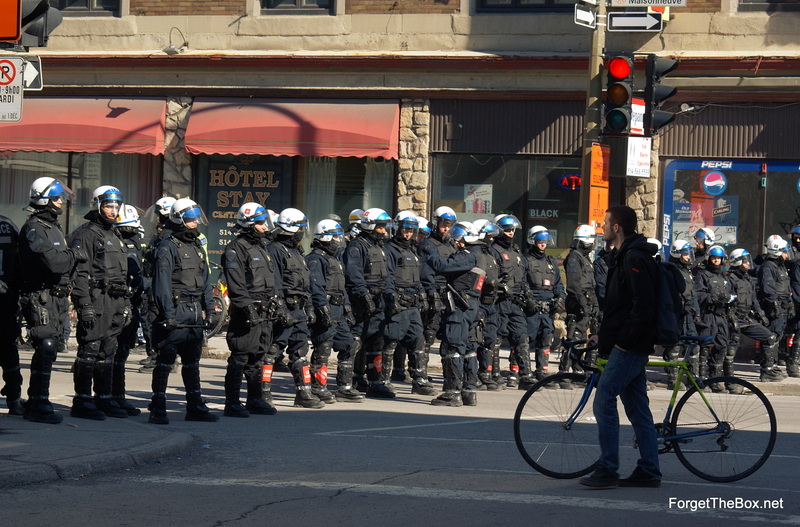 I left shortly after this incident. 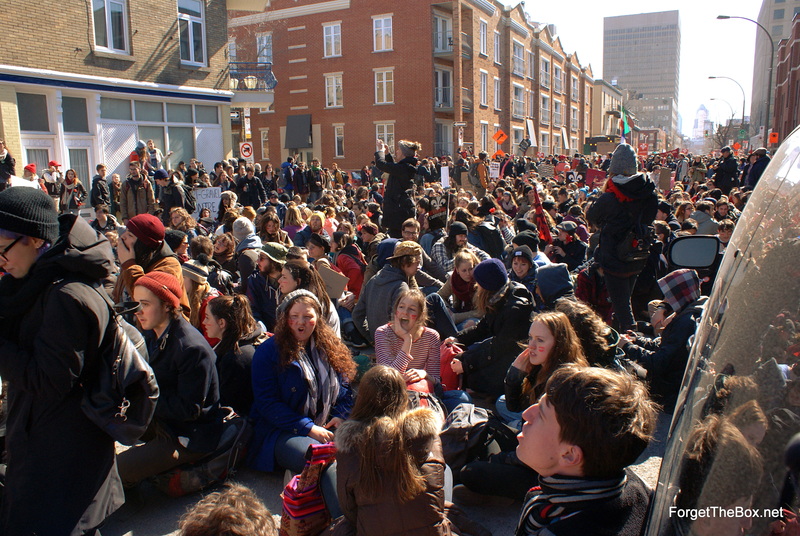 I’ve heard of other clashes going on at the end of the protest and I’m not surprised since there was so many people spread out everywhere. I saw protesters with red faces from pepper spray but no other injuries. 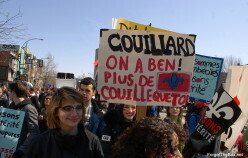 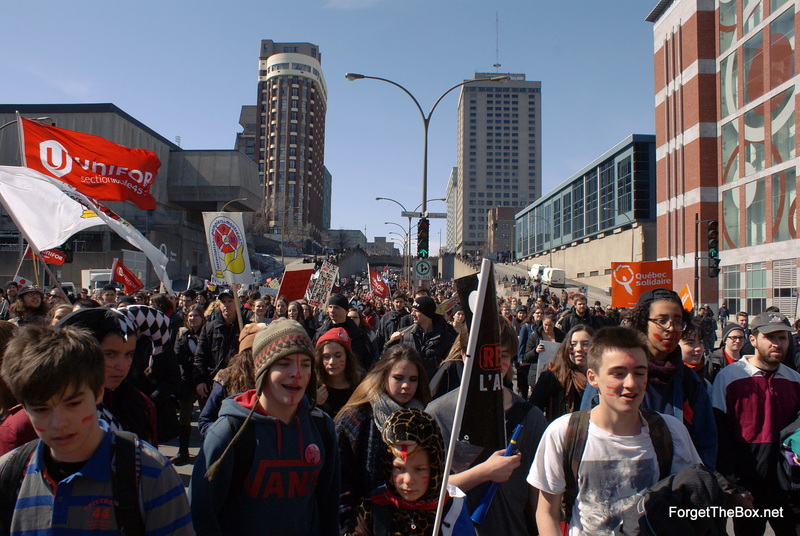 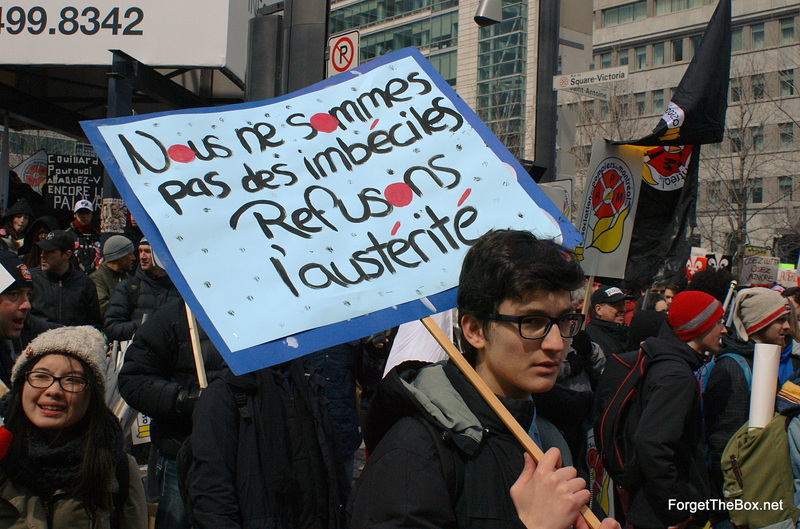 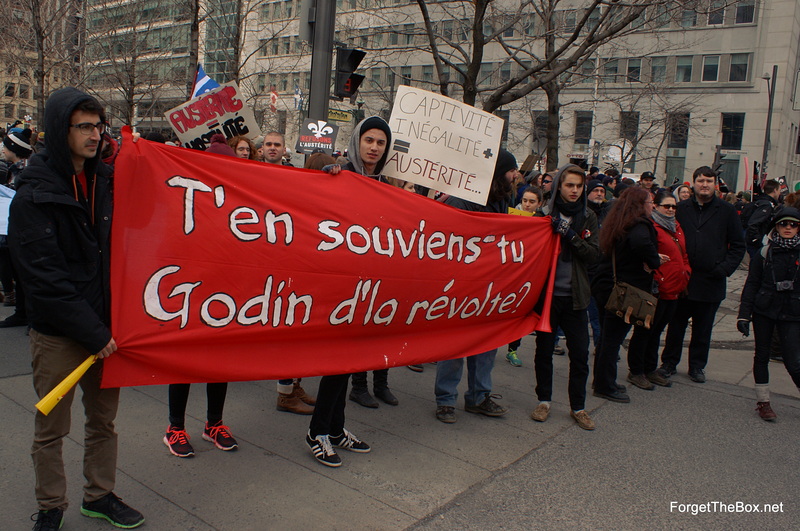 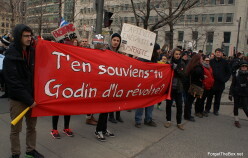 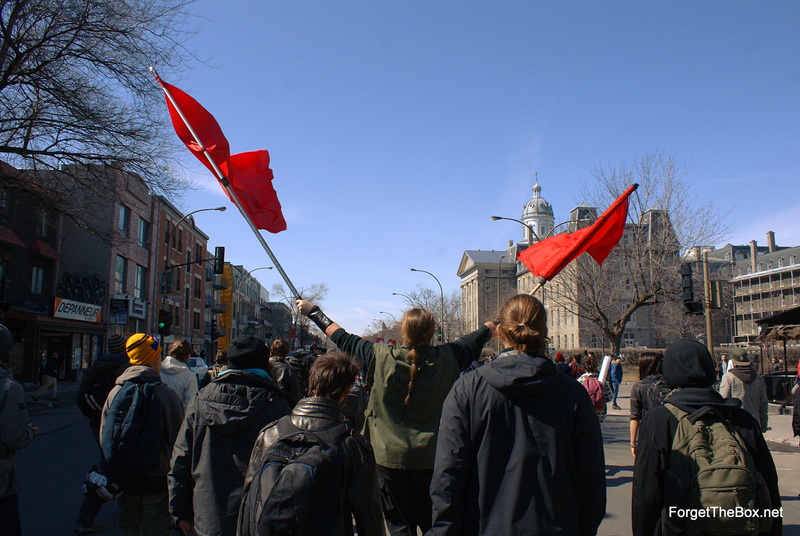 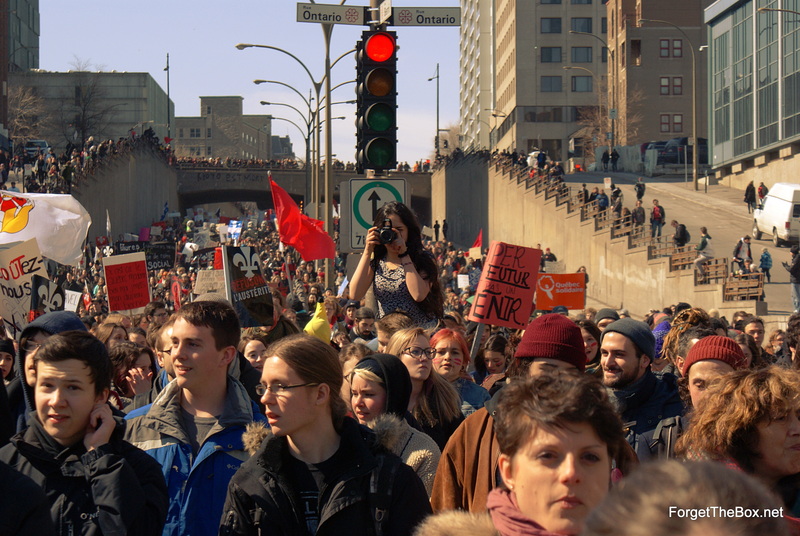 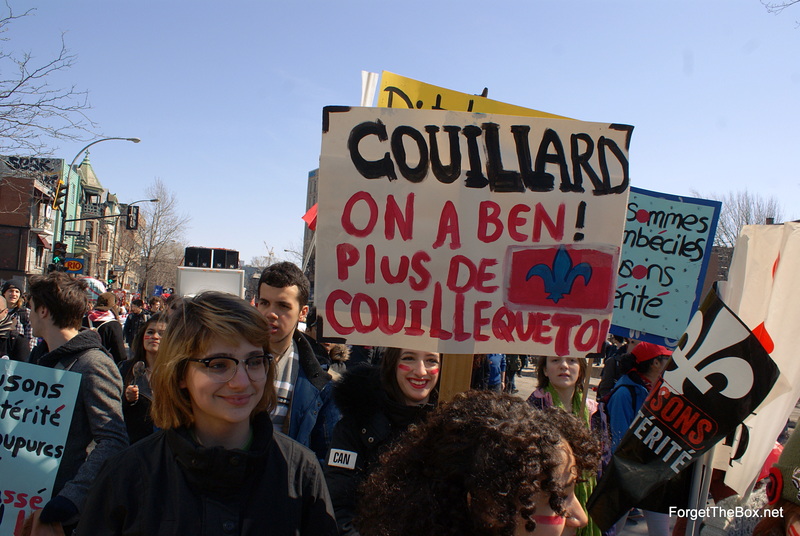 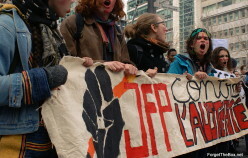 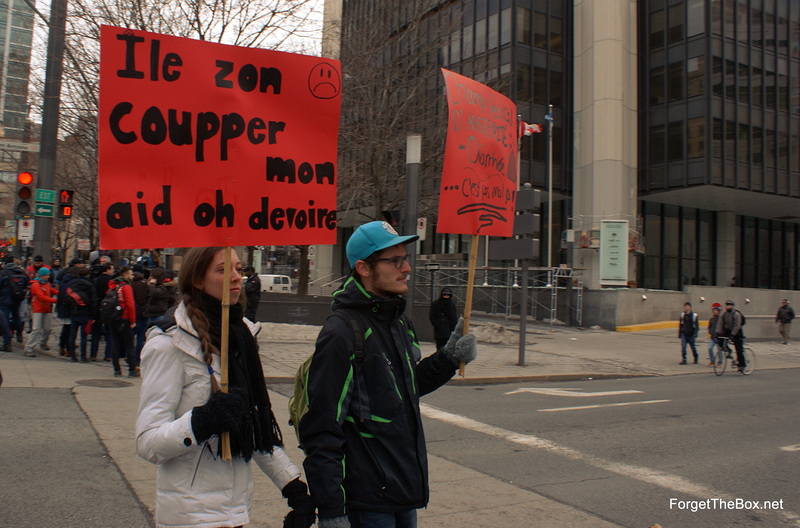 It was interesting to see High School kids getting their first taste of protesting in Montreal and how they realized it was serious business. 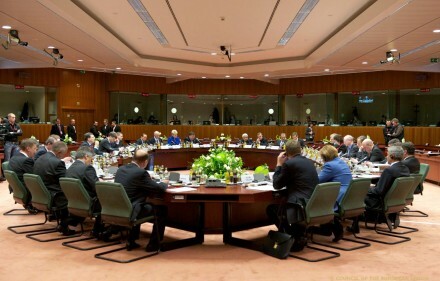 The feedback I got from some of them is that they will not be deterred and they will be coming back. 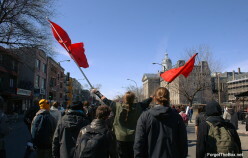 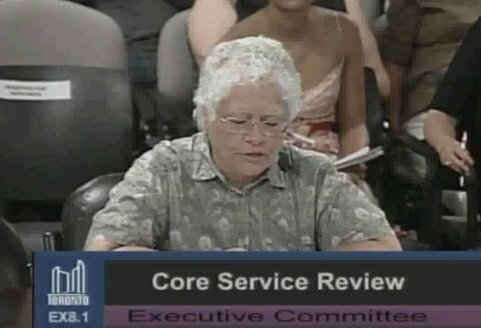 The next big rally/protest is scheduled on May 1st. 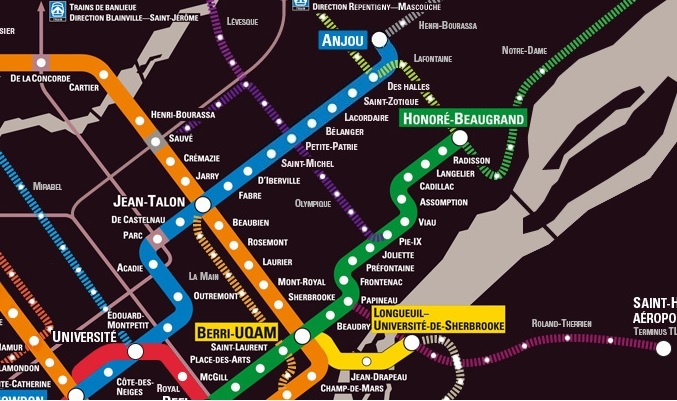 Is the Blue Line expansion politically-motivated fantasy or reality?